It is a huge week of agility here in 1st World Dog land. 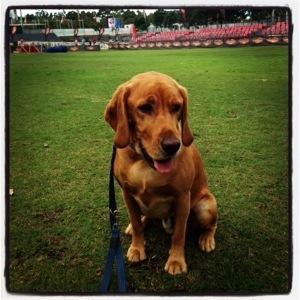 Mum has spent the 1st half of the week at the One Mind Dogs agility seminar and we are off to Sydney’s Royal Easter Show this weekend competing in the agility trial there (we did a guest post over on Puppy Tales in the lead up to the Royal about “What is Agility?” if you want to check it out). 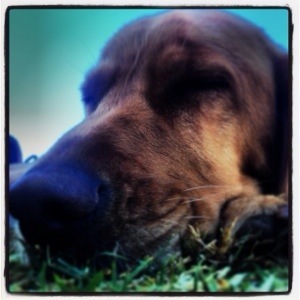 So there is a lot of agility going on… I’m almost dreaming agility…. Well actually for the sake of this photo challenge I am…. 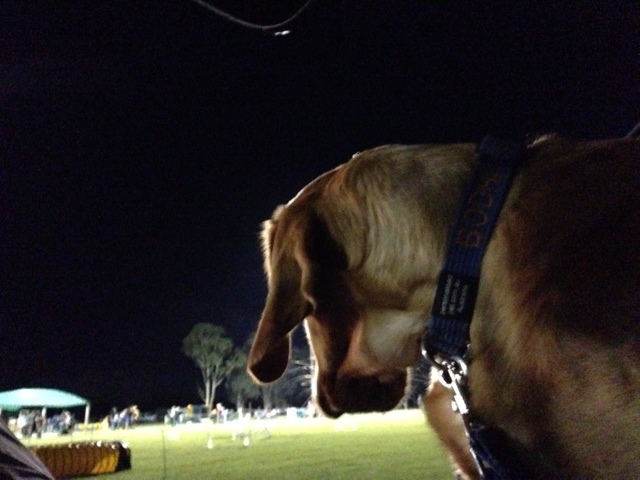 But it turns out doing agility runs after midnight works for me… including the food treats at the end. So the day after report from the Triple Jumping Fundraiser Trial. 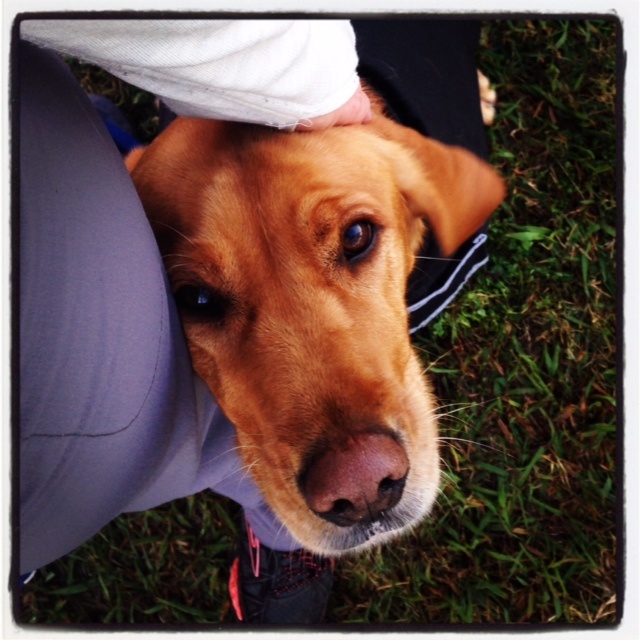 Run 1… I’m looking for a new handler after that run. I did an awesome run. Fantastic jumping on a course that had some jumps at weird angles but sailed over them all. Think mum was in shock as at jump 13 of 15 jumps mum gets confused which way to go! Oh seriously mum how many times did you walk the course before while I sat in the back of the car? Handler out there who would like to run a 1st World Dog? Must be able to count to at least 15 and have treats ready at the end. Run 2… Lovely fast course with some long straight lines. So straight in fact I flew down the start dropping the last bar in that 1st line. D’oh. Then did all the tricky stuff in the middle wonderfully (of course) to then drop the top bar in the spread on the straight run home. D’oh. Run 3… So we are now sometime past midnight. Mum and I are one run each on the errors as we head into the 3rd and last run for the evening. Some tricky little turns around the course and mum also made the decision to stay on the left hand side of me through a piece where lots of other people were crossing to the other side of the jump using front or rear crosses. So not to risk breaking my stride mum decided she would do her part of the teamwork and stay left and run like crazy to keep up down a longer line. Well it worked! We came together as a team. A clear and qualie run! 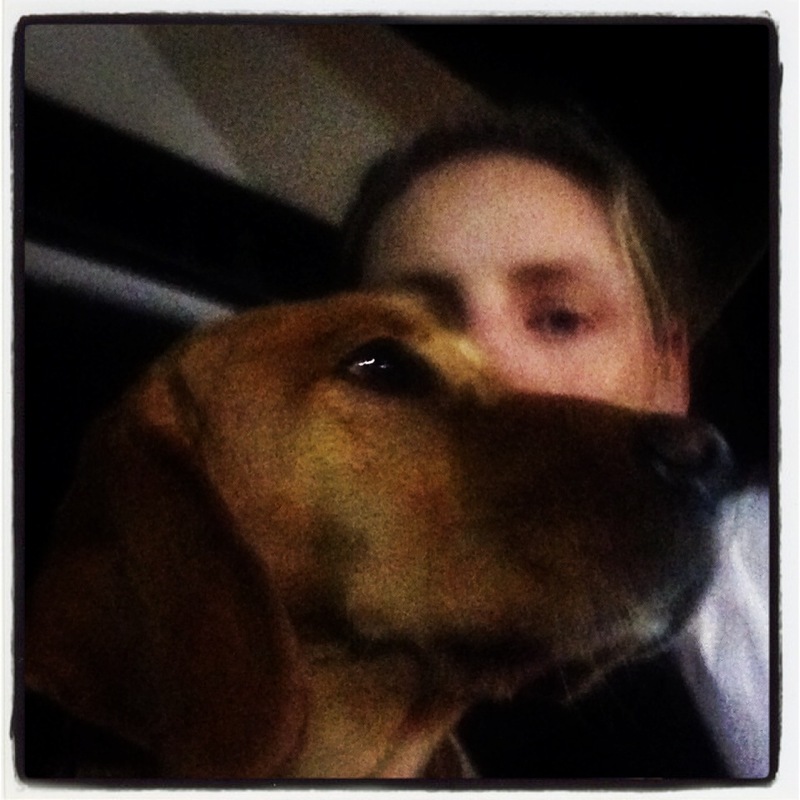 What a way to end the evening and our last run for 2013 and I’m like a reverse Gremlin…. I work after midnight! A late night but lots of fun hanging out with my mates. Mum’s real highlight of the night was that there were only 2 bars down all night!!! I really did listen to her pleading (seriously she was) before we went in the ring each time for me “to keep my bum over the bar”. Well we are inching towards an agility qualie now with 2 JD qualies. Looking forward our next trial in the new year. Is there an agility version of a full house? Well we were playing Snooker and Gamblers today at an Agility & Games Trial. Picking up a pass in Snooker it now means I have a qualie in each of the Novice classes… Like a Full House in Poker! Just the one in each (Jumping, Agility, Strategic Pairs, Gamblers and now Snooker). To be honest I’m too tired tonight to care but here is my collection of paperwork. So the wrap up from the rest of the day. 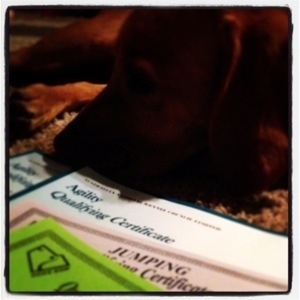 Novice Agility… A course that had some tricky parts for a novice course but good challenges. In my usual form I did all the hard parts but also in usual form… I dropped the 1st bar. Also missed the weave entry which I haven’t done in ages in training but I’d already dropped the bar so mum could only laugh at the curse of ‘One Bar Bodhi’. Next up was Novice Jumping… Another course with some tricky bits (same judge) and sorry mum have to look to you with some bad handling decisions on this one. A rear cross mid-way down the 1st stretch that threw me off the next jump (she thought it was safer to cross behind before the broad where I was less likely to drop a bar… Nice try mum). A blind cross while I was in a tunnel that she didn’t sprint fast enough to get in position before I came out of the tunnel… And gheez did I try really hard to clean up mum’s mess on that jump (which she did recognize and really appreciate). So 3 bars down in total… 2 were mum’s fault and 1 was my One Bar Bodhi trademark. Novice Snooker… Mum has got her head around the rules since the 1st time we did Snooker back at the Festival in September. She was also more conscious of setting a run for us that I couldn’t do an off-course and do 2 colours together in the opening sequence. For those that have never heard or seen Snooker in dog world before it is kinda the same idea as some human game usually played in pubs except our version involves jumping , obstacles and tunnels. Do a red jump (worth 1 point), do a coloured obstacle (worth various points) and repeat this 3 times (getting a minimum of 10 points in this part). This is what is called the Opening Sequence. Once you have done that you do the Closing Sequence. This is the coloured obstacles numbered 2 to 7. You have to do all this within a certain timeframe and also try to get as many points as possible in the Opening Sequence. So this we did successfully today getting our 1st Qualie in Novice Snooker and coming 6th within Novice 500 (being my height). Lastly was Novice Gamblers… Loved Gamblers the 1st time we did it at the Festival earlier in the year. Actually picked up 3rd place back then. Excited to end the day on this fun game. Go out and get as many points as we can in the Opening Sequence (a set time) with different jumps and obstacles given different points and then when the buzzer goes head to the Closing Sequence. Had an awesome time in the Opening. Mum had a plan. We roughly stuck to it. Then we got to the gamble. 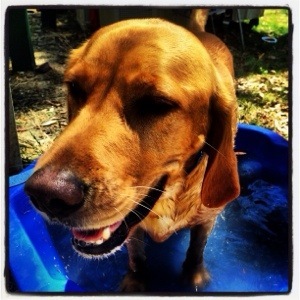 Mum was hopeful… It was pretty straight forward… Then Cyclone Bodhi took out 2 of the 3 bars in the Gamble… Opps. Sorry about that mum. Anyway if we had got a qualie in Gamblers mum we wouldn’t have this lovely collection of a full house with 1 qualie in each. 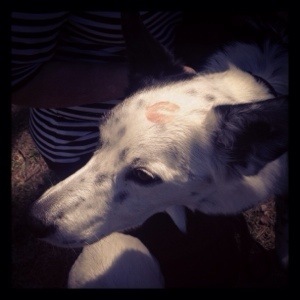 And check out the photo of my mate Roy… Watch out Cassanova… Cassa-Roy has the ladies giving him the kisses (although not sure about the lipstick mark… That is just showing off).